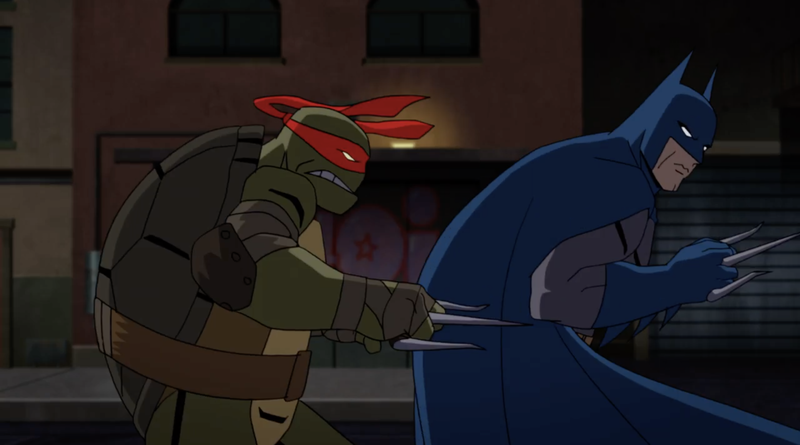 With Batman vs. Teenage Mutant Ninja Turtles, Troy Baker, a voice actor from video games Batman: Arkham Origins and The Last of Us, becomes the first to ever play both Batman and the Joker in the same film. Team Bats is rounded out by Crazy Ex-Girlfriend‘s Rachel Bloom as Batgirl, Hart of Dixie‘s Ben Giroux as Robin, Seinfeld‘s Brian George as Alfred, and Parks and Recreation‘s Jim Meskimen as Commissioner Gordon. 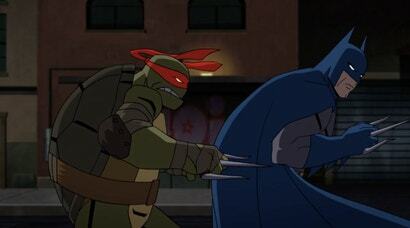 Directed by Jake Castorena and written by Marly Halpern-Graser, Batman vs. Teenage Mutant Ninja Turtles will be released on Digital and on 4K Ultra HD Combo Pack and Blu-ray Combo Pack this spring.